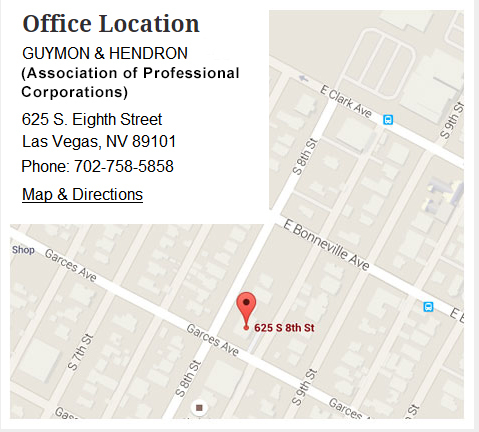 Should I have Guymon & Hendron represent me or a loved one at an Immigration Bond Proceeding? Absolutely! A knowledgeable attorney such as the attorneys from Guymon & Hendron can greatly assist in securing a favorable result at an Immigration Bond Proceeding Hearing. Strong arguments from an attorney such as those from Guymon & Hendron outlining the legal elements at issue can assist in securing the lowest possible bond amount and may mean the difference between release and being held in custody. What is an Immigration Bond Proceeding? An Immigration Bond Proceeding is a court hearing where an immigration judge makes two (2) determinations. 1) Whether the person in custody is eligible to be released on bond and 2) whether the factors considered in bond determinations support releasing that person. Bond proceedings are separate from removal proceedings. What is an Immigration Bond Proceeding like? Generally, an Immigration Bond Proceeding is less formal than most other court proceedings. However, the venue is still a court of law and one must respect the decorum of the court. What happens at the Immigration Bond Proceeding? First, the attorney for the Department of Homeland Security will inform the court whether a bond has already been set, the amount of the bond, and the justification for that amount. Why they pose no threat to national security. How do I know if a person is eligible to be released on bond? Generally, a person is eligible to be released on bond unless they are already in exclusion or removal proceedings or are barred on certain security or criminal grounds. If a person is eligible, what factors are considered in releasing them on bond? The risk to national security. What evidence does the judge consider? In addition to the representative’s arguments (which are technically not evidence), the judge will consider any documents brought to court to support the person’s position and, in certain circumstances, the judge may allow for sworn testimony from witnesses. The attorneys from Guymon & Hendron will make sure we are fully prepared and gathering the pertinent information the judges consider when making bond amount determinations. When will I know the judge’s decision? Usually, a judge gives his decision orally at the end of the hearing. A written order is only prepared if the decision is appealed. Can I appeal the judge’s decision? Yes. An immigration judge’s bond determination can be appealed to the Board of Immigration Appeals. However, the judge’s bond decision remains in effect while the appeal is pending. Can I attend the bond hearing? What difference can an attorney make? Legal representation at a bond proceeding can make all the difference in the world. The strong and well-articulated arguments by knowledgeable, experienced attorneys such as those with Guymon & Hendron can greatly affect the outcome of your case and may mean the difference between release and being held in custody. Call our offices today to schedule a free consultation about your case. We can be reached at 702-758-5858, or you can fill out and submit our online contact form.